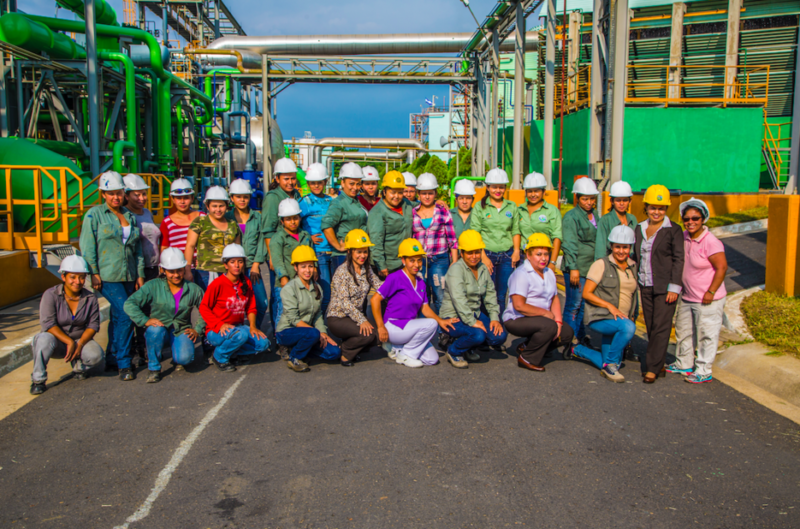 Today, on the International Day of Women and Girls in Science, we take a look at how a geothermal energy company in El Salvador, LaGeo, invests in women and girls for inclusive green growth. 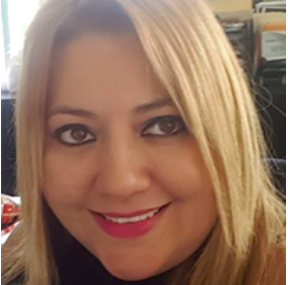 When Yenni Guadalupe Castillo Argueta was 25 years old, she held a high school degree and was the mother of two young children when she was recruited by David López, who was then the Civil Works Coordinator at LaGeo. A year later, Yenni became an Administrative Collaborator for LaGeo’s newly created Communications section, inspiring her to pursue a university degree. As a young woman starting her career and embarking on higher education, Yenni faced many challenges that other women also find themselves in—from funding studies, to raising her family, to addressing her commute when she did not have driving skills, and more. However, Yenni was able to thrive with the support of initiatives offered by LaGeo, which deployed numerous policies to help encourage the participation and retention of women in the company. Some of the benefits Yenni accessed to advance her career included LaGeo’s education program that reimburses 50-90% of employee higher-education tuition, loans and discounts to pay for driving lessons, 80% tuition support for English language instruction, paid-time off for university studies, and on-site childcare. Rosa Escobar joined LaGeo as a junior supervisor after completing university studies in architecture. After steadily growing in roles and responsibilities at LaGeo over the last 20 years, Rosa currently works at LaGeo as its Engineering Manager. She is responsible for the engineering, design, and construction of LaGeo’s new geothermal projects and aligned these projects with LaGeo’s Environmental Management System and its Corporate Social Responsibility (CSR) Policy. With the support of the company, Rosa has contributed to more sustainable business models and led company-wide initiatives, negotiating the implementation of a day care center at LaGeo. Through her role implementing CSR initiatives, Rosa also participated in negotiations with the Environmental and Natural Resources Ministry to create a wildlife protection plant located within the Berlin geothermal field—where equal numbers of local women and men are not only recruited and trained, but also paid equally. Yenni and Rosa are just two of many other women who have benefited from gender-responsive approaches taken by the geothermal company in El Salvador, and in turn giving back to the company’s growth, local development, and encouraging other women to join the sector. Winning international awards, LaGeo’s business model promotes women’s participation in the country’s energy sector while also pursuing gender equality goals through its CSR initiatives, sustainably. LaGeo highlights the ways in which a national utility can develop approaches and activities throughout its corporate mission and operations to adhere to national gender equality laws and national development goals, resulting in multiplied benefits for women’s empowerment, the environment, social benefits, and business outcomes. 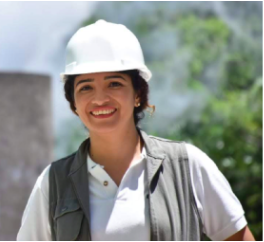 In a new case study brief, Gender-responsive geothermal generation: Powering energy and social benefits in El Salvador, the LaGeo geothermal company demonstrates how utilities can increase women’s participation in the formal energy sector through the process of developing institutional policies, while examining and adapting its management structures. It also highlights how LaGeo uses equitable CSR initiatives across numerous impact areas, such as livelihood activities, reforestation and mitigation efforts, social infrastructure development, conservation work, education, and health initiatives. These activities demonstrate the benefits of geothermal energy in delivering environmental sustainability and employment, as well as strong community relations that mitigate and prevent vandalism, which costs numerous utilities millions—at times billions—in economic losses due to vandalism and energy theft. Rosa’s and Yenni’s stories demonstrate just some of the many ways that the benefits of these approaches are real. As the case study shows, not only does LaGeo have positive community relations—wherein local women and men equitably benefit from sustainable employment and infrastructure—and no incidences of vandalism, it is also planting three million trees, protecting over 100,000 square meters of forests, and helping local communities reduce emissions by using geothermal steam. As for Rosa, today, she is promoting and fundraising for the creation of an international geothermal masters program to be implemented by LaGeo in alliance with the University of El Salvador. An award winning geothermal engineer, she is also working on three CSR projects aimed to improve the living conditions of young people in suburban zones, encouraging people to participate in national elections, and working with disadvantaged and troubled youth. A mother to a young son, Rosa believes that she is an inspiration for other women, showing that they too can balance motherhood with professional roles. Meanwhile, Yenni completed a communications degree and currently serves as an analyst at LaGeo. She is an active member of WING (the Women in Geothermal initiative that seeks to increase women’s participation in the geothermal industry), the secretary of a union’s organization for the electricity sector, and a homeowner. She believes her calling is to support the empowerment of women so that they have authority and autonomy over their own lives, have a voice through voting, and can participate equitably in society, the economy, and influence decisions that can further open doors for other women. Yenni credits people like David—now the President of LaGeo—who believe in the power of gender equality and who can truly make a difference in helping bring women into workspaces typically dominated by men. She is currently supporting the dream of her daughters to be engineers and doctors. The case study was produced by the International Union for Conservation of Nature (IUCN) under its partnership with the US Agency for International Aid and Development (USAID), called Advancing Gender in the Environment (AGENT). The purpose of the partnership is to increase the effectiveness of USAID’s environment programming through the robust integration of gender considerations, improving gender equality and women’s empowerment outcomes in a broad range of environmental sectors. Under this partnership, this case study acts as a visual, engaging walkthrough on how national utilities can promote women’s empowerment, gender equality, sustainable outcomes, and business results. The case study also provides recommendations and resources to support other projects and programmes working on integrating gender into utilities. Click here to read it now. This post was contributed by Jamie Wen-Besson, IUCN with support from Ruben Antonio Loy from LaGeo, Alaide González from Energia y Ambiente, as well as Jackie Siles, Ana Rojas, and Maria Prebble from IUCN for the International Day of Women and Girls in Science 2019. Graphics by Estudio Relativo for IUCN.